lower tunnel US end - Januarys Competition Winner!! Make: Samsung Techwin co., Ltd. 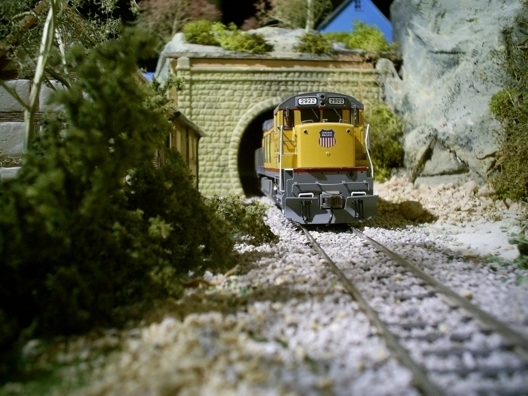 The winner of Januarys (no winners for December) "best model Railway photo" is The Mad Hatters father and son team! Steve & Matthew click here to see their photo. They has won a track cleaning car from New Modellers Shop.